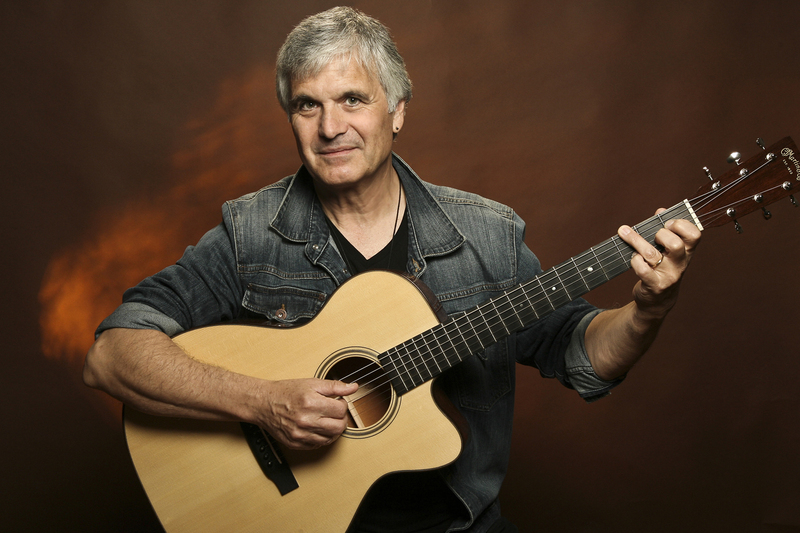 Two-time Grammy winner Laurence Juber is performing live at Four Friends Gallery in Thousand Oaks on Jan 30, 2016. First internationally recognized as lead guitarist in Beatle Paul McCartney’s band Wings, Juber has established himself as a world-renowned guitar virtuoso, composer and arranger. He has been named Fingerstyle Guitarist of the Year. Known to his fans as LJ, Juber has released 23 solo albums which spotlight LJ’s unique touch and tone on solo acoustic guitar. LJ Plays the Beatles was was voted one of Acoustic Guitar Magazine’s all-time Top Ten albums! As a studio musician, he can be heard on recordings from artists as diverse as Dan Hicks & the Hot Licks, Seal and Barry Manilow, plus he is featured on the soundtracks to hundreds of TV shows such as Home Improvement and movies including the academy award-winning Dirty Dancing, Good Will Hunting and Pocahontas. With his wife Hope Juber, he has composed the scores to the musical comedies Gilligan’s Island: The Musical, A Very Brady Musical and It’s The Housewives! There is plenty of off-street parking at 1414 E. Thousand Oaks Blvd., Thousand Oaks, CA 91362. This show is a joint effort between Four Friends Gallery, owned by Larry Janss, and Steve Brogden’s BrogdenBay Presents. Larry has been a decades-long supporter of arts and culture in Southern California. You may remember Steve for the three music series he hosted at Thousand Oaks Library for the eight years prior to his retirement as library director in late 2014.